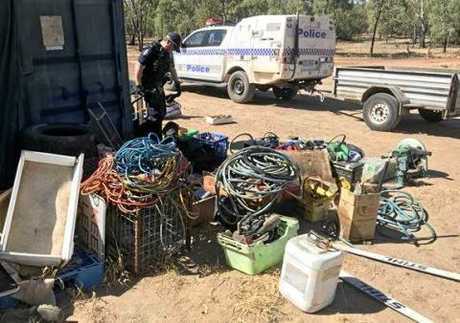 A 12-METRE shipping container filled with stolen tools and machinery has been recovered by police during drug raids in remote southwest Queensland. A taskforce of detectives from St George and Dirranbandi were on the hunt for clandestine drug operations when they executed search warrants across three properties throughout the Balonne Shire on the weekend which led them to a container filled with $50,000 worth of stolen property on an isolated block of land on Monday afternoon. The raids also uncovered $3700 of methylamphetamine and firearms. 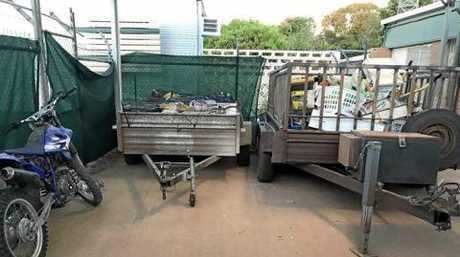 St George crime investigation branch detective inspector, Mat Kelly, told Newscorp police are stumped as to how the shipping container was allegedly stolen from Cubby Station last year between October and November. "We're unsure how they managed to pull this off," he said. Det-Insp Kelly said more calls were pouring in from residents across the south west in a bid to clean up their remote communities. "We were able to carry out these search warrants as a result of information the community has fed us, who were fed up with this type of crime committed against their community," he said. "We want to implore community members to continue to report suspicious activity to Crime Stoppers." Two Dirranbandi men, 27 and 36, were charged with a string of drug-related and stealing offences, and will both appear in St George Magistrates Court on March 12. 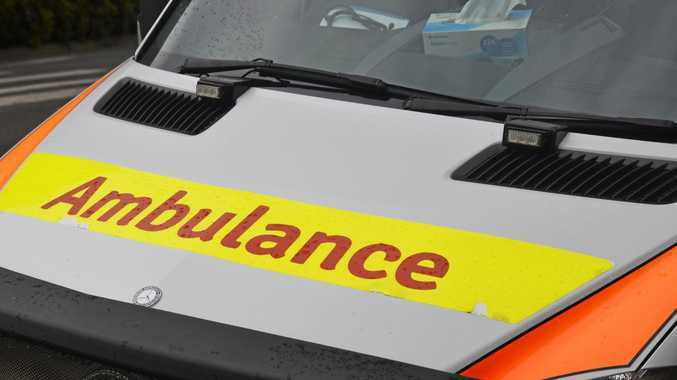 The 36-year-old has been charged with entering a premises to commit an indictable offence, receiving tainted property, unlawful possession of weapons, and possession of a drug utensil. The 27-year-old has been charged with entering a premises to commit an indictable offence, receiving tainted property, and firearms charges. 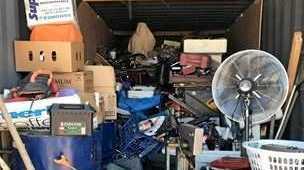 The stolen property is now in the process of being returned to its' owners. "It was through intelligence the community provided us that we managed to track this last address."